Home / Climate / The news we’ve helped to make and break in 2013! “EIA is an amazing example of a small group of individuals using great science and passion to help save the environment … in the environmental movement, EIA is the equivalent of Her Majesty’s Secret Service” – Louie Psihoyos, director of the Oscar-winning documentary The Cove. EIA’s focus and methodology is a key part of what makes us so effective and unique; there are no flashy offices or mega-salaries, just a small team of dedicated, resourceful and tenacious campaigners & front line investigators working in often-remote locales to uncover the evidence of environmental crime and use our findings to drive meaningful action and change. In February, a new report from our Forests Team revealed in detail how corruption in the world’s fourth poorest country facilitates illegal logging & timber smuggling to China. 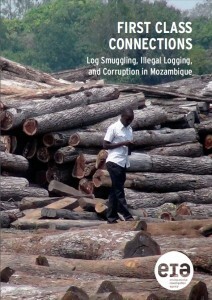 Our research for First Class Connections: Log Smuggling, Illegal Logging and Corruption in Mozambique indicated that half the timber flowing into China is illegal and further revealed the smuggled timber costs the country tens of millions in lost taxes every year. Investigative case studies into some of the biggest companies behind these crimes exposed both the smuggling techniques used and the political patronage and corruption making them possible. Later in February, EIA campaigners arrived in Bangkok for the 16th meeting of the Conference of Parties (CoP16) to the UN Convention on International Trade in Endangered Species of Wild Fauna and Flora (CITES). We came with a simple yet crucial message, calling on international policy-makers to Stop Stimulating Demand for critically endangered species. Executive Director Mary Rice warned that conflicting decisions and top-level discussions regarding trades in the products of endangered species such as elephants, tigers and precious woods create consumer confusion and ultimately drive poaching/theft by criminals to supply rising demand. 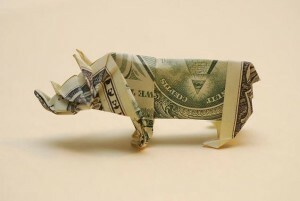 Even discussion as to the possibility of creating a legal trade in the product of an endangered species spurs greater criminality and demand – as was sadly evidenced later in the year with regard to rhinos. While at CITES, our Tiger Campaign team released the new report Hidden in Plain Sight: China’s Clandestine Tiger Trade, detailing just how a legal trade works to undermine international bans and conservation efforts. Despite signing up to global initiatives to protect wild tigers and double their numbers by 2022, Government departments in China have also quietly set about stimulating domestic markets for tiger skins and body parts. More than 5,000 captive-bred tigers are held in Chinese ‘farms’ and ‘zoos’ and EIA has uncovered a legalised domestic trade in the skins of captive-bred tigers, sold as luxury home décor and stimulating the poaching of wild tigers and other Asian big cats as cheaper alternatives. Further, new evidence suggested a ‘secret’ Government notification on the use of the bones of captive-bred tigers was being used to justify the manufacture of ‘tonic’ wines. Tiger Tracks came roaring into London! 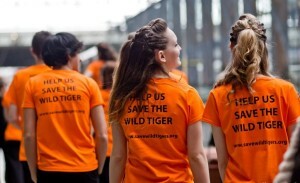 Tigers came much closer to home in March when EIA took part in Tiger Tracks, the world’s biggest-ever tiger event which spanned three weeks of activities at St Pancras Railway Station in London. Organised by the Save Wild Tigers initiative, the event raised funds for the tiger-related work of EIA and Born Free Foundation. Having successfully called on Amazon to stop selling whale and dolphin products via Amazon Japan, in March our Cetaceans Team turns its sights on Google with a call to adhere to its own ethical policies and remove thousands of advertisements from its Japanese Shopping site which promote products for sale from endangered whale and elephant species. An initial letter to Google CEO Larry Page requesting immediate removal of over 1,400 ads for whale products and as many as 10,000 ads for elephant ivory products on Google Japan’s Shopping site met with no response – until we went public with the story and the combination of international media coverage plus complaints from users spurred the company to do the right thing. Our Forests team had grounds for cautious celebration at CITES in March when efforts to list endangered Siam rosewood for protection were successful. Demand for the valuable species to feed the multi-million dollar rosewood trade to meet China’s desire for luxury ‘Hongmu’ antique-style furniture is driving it to extinction in an illegal trade characterised by violence and bloodshed. In April, we were much encouraged to see the United Nations’ anti-crime body resolve to step up the global fight against wildlife and forest crime in recognition of the urgent threat it poses and the serious nature of the criminal networks involved. EIA has been pressing for special agencies tasked with crime fighting to turn their attention and resources to combating wildlife and forest crime, which are all too often not a priority. The meeting of the UN Commission on Crime Prevention and Criminal Justice (CCPCJ) in Vienna had as its core theme crimes that impact the environment, and in a joint statement, EIA and WWF said recognition of the serious, transnational and organised nature of wildlife and forest crime, 12 years on from the first discussion of these crimes under the UN General Assembly, is a crucial step forward. In what turned out to be a most successful year for our Cetaceans Campaign, it was back in May with an alert that Icelandic whaling company Hvalur hf was exporting fin whale meat to Japan where it was being manufactured into dog snacks. The press release highlighted Japanese pet food company Michinoku Farms, which sold imported Icelandic fin whale ‘jerky’ as pet treats – but within hours of the release we were delighted to learn the company had removed the products from sale. “Maybe I was ignorant of the debate (about whaling), but it’s not worth selling the product if it risks disturbing some people,” Takuma Konno, President of Michinoku Farms, told news agency AFP. In late May, we released video of illegal logging operations in the Raja Ampat Islands of West Papua following the arrest of rogue Indonesian cop-turned-smuggler Labora Sitorus, who financed and coordinated timber theft on a huge scale. Our 2009 footage documented loggers illegally felling trees without relevant Government approvals; they told EIA investigators their operation exclusively supplied Labora Sitorus, who they knew to be a policeman. 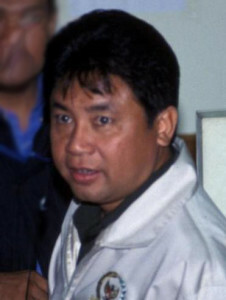 Sitorus’ arrest followed a report to the Papua police from the Indonesia Financial Transaction Reports and Analysis Center (PPATK) that more than US$150m had passed through bank accounts linked to his businesses in the past five years. In the midst of a long, hot (untypical) English summer, EIA tried something a little different to raise awareness of our work and introduce ourselves to our local community in London’s Islington – we held a party in the park! July’s Greens on the Green free summer festival was a big success, with hundreds of people dropped by Islington Green to watch documentaries about our work in a film tent, chat with campaigners or just relax on the grass to a great line-up of live music. 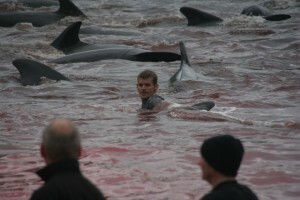 In August, in response to the shocking slaughter of almost 400 pilot whales in the Faroe Islands, EIA joined with 12 other international organisations to express extreme concern about the continued cruel and unnecessary killing of pilot whales to Faroe Islands Prime Minister Kaj Leo Holm Johannesen and Minister of Fisheries Jacob Vestergaard. The letter was also sent to the Chair of the Pilot Whalers Association and the local Chiefs of Police, all of whom have responsibilities for the hunts. Mistakes in the conduct of the hunt led to chaotic scenes of appalling cruelty, revealing the inherent problems associated with trying to achieving a quick, clean kill. The coalition letter questioned the continued hunting of these creatures in the Faroe Islands and called for an end to pilot whaling, particularly as their meat is so contaminated with toxic pollutants that the Faroese Chief Medical Officer and Chief Scientist have warned that citizens should not eat the meat and blubber. In mid-August, we revisited our ongoing campaign seeking to persuade internet giant Yahoo! 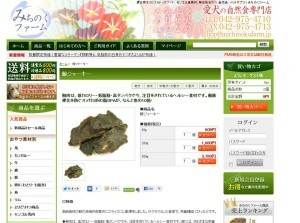 to follow the commendable lead of Amazon and ban advertisements for elephant ivory and whale & dolphin products on Yahoo! Japan. Previous approaches have found Yahoo entirely unresponsive, and on this occasion we urged international conglomerate SoftBank Corp to act, as Yahoo! Japan is the dominant company in SoftBank’s internet division. Unfortunately, an appeal to SoftBank CEO Masayoshi Son met with no response; at the time, SoftBank had recently concluded a US$21.6 billion takeover of US cell phone carrier Sprint. “SoftBank has a responsibility to millions of US Sprint customers who will be shocked to discover that SoftBank is profiting from the slaughter of elephants, whales and dolphins,” said Clare Perry, head of EIA’s Cetaceans Campaign. In September, we unveiled the findings of our last Chilling Facts report, delighted that a new wave of technology has been driving a European refrigeration revolution – slashing energy usage and eliminating the need for harmful chemicals. 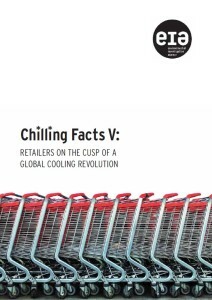 Chilling Facts V found supermarket chains throughout the EU, and particularly in the UK, were moving away from traditional hydrofluorocarbons (HFCs) towards natural refrigerants, and reaping significant benefits in the process. Our ‘Stop Stimulating Demand’ message, that even discussion of the possibility of legal trade will drive poaching, was grimly underscored in September when EIA analysis showed that the poaching of rhinos in South Africa has increased by an average of more than three a week since Environmental Minister Edna Molewa called for a legal international trade in rhino horn. From January 1 to March 13, 2013, an average of 15.36 rhinos were poached each week in South Africa. On March 14, Minister Molewa revealed her support at CITES for a legal international rhino horn trade, claiming it as a conservation measure; CITES has long banned such a trade. Since her announcement, a weekly average of 18.6 rhinos were poached between March 14 and September 19, totalling 505 rhinos. March to tell world leaders to stamp out the ivory trade! On October 4, EIA joined our friends at the David Sheldrick Wildlife Trust and concerned activists for the International March for Elephants. Official marches were held in London and in 13 others cities around the world, with many more unoffical marches joining in. Despite wet weather on the day in London, a great turnout made plenty of noise on the march to Parliament Square, where EIA Executive Director Mary Rice was among those who addressed the crowd on the urgent need for international cooperation and action to end the mounting slaughter of elephants. EIA Cetaceans campaigners were in Tokyo in October with the news that more than one million whales, dolphins and porpoises have been slaughtered off Japan in the past 70 years – and our analysis indicates these hunts are on track to wipe out key species in Japan’s coastal waters. 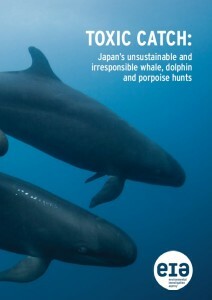 Launching the report Toxic Catch: Japan’s unsustainable and irresponsible whale, dolphin and porpoise hunts we urged the Government of Japan to phase out the hunts over a 10-year period through targeted actions to restore depleted cetacean populations and working with hunters to find alternative livelihoods. The report garnered major media coverage around the world, helping to focus attention and pressure on Japan. In November, we revealed how High Street banking giant HSBC is funding the destruction of rainforests essential for the survival of Bornean orangutans and other endangered species. Our report Banking on Extinction showed that despite adopting polices to keep it from financing deforestation, the UK bank is nevertheless a leading financier of the palm oil industry – and makes loans worth hundreds of millions of dollars to some of its worst elements. The report showed that HSBC’s reliance on the Roundtable on Sustainable Palm Oil (RSPO) as an indicator of third-party compliance with its own sustainability policies is fundamentally misguided. As December began, EIA issued a formal warned that EU companies could fall foul of the European Union Timber Regulation (EUTR) by importing timber from Myanma/Burmar. The EUTR, which came into force in March this year, prohibits traders from placing on the EU market timber which has been harvested or exported illegally from the country of origin. The regulation requires traders to carry out due diligence on imports to screen out illegal timber. But analysis of the chaotic state of forest governance in Myanmar demonstrates how the due diligence required is impossible on imports from the Mekong states. Our Forests team issued a second alert just a week later, cautioning that the involvement of notorious former timber baron Abdul Rasyid was reason enough to stay away from a US$90 million initial public offering (IPO) in an Indonesian palm oil company. Our Global Environment team ended the year on a positive note as years of work seeking a robust review of the EU’s F-Gas Regulation resulted in a partial ban of climate-changing hydrofluorocarbons (HFCs) used in refrigeration and air-conditioning. The EU will now cap the amount of HFCs which can be placed on the European market and will gradually reduce it over time. By 2030, the volume of HFCs on the market is expected to be cut to 21 per cent of present levels. We welcomed the move as a progressive and encouraging victory in the wider fight against climate change, despite disappointment that extensive negotiations had failed to agree earlier and stronger bans. On behalf of everybody here at EIA, from the London HQ team to far-flung investigators working undercover around the world, thank-you for your enthusiasm, support and activism throughout 2013 – and all our best wishes for a peaceful and industrious 2014.